After West Bengal Chief Minister Mamata Banerjee expressed her displeasure over two-wheeler drivers not wearing helmets while riding, the Siliguri Metropolitan Police (SMP) has launched a road safety 'No helmet No petrol' rule. Under the new rule, petrol pumps will no longer sell fuel to motorcyclists who do not have protective headgear. 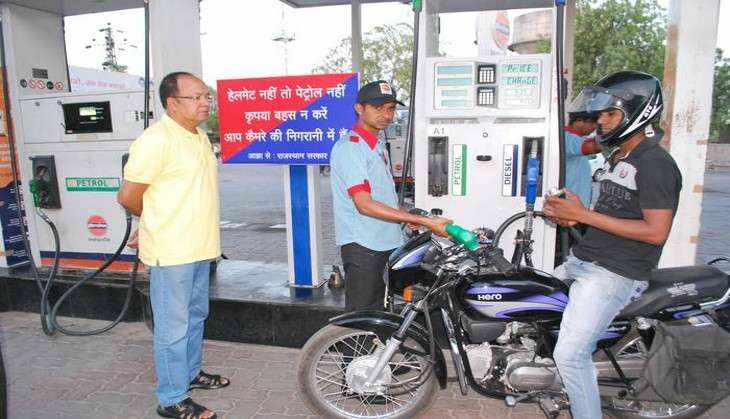 Siliguri Deputy Commissioner of Traffic (DCP), Shyam Singh announced that no petrol pumps under the jurisdiction of the Siliguri Metropolitan Police will sell petrol to two-wheeler riders who come to the petrol pump without a helmet. "If any petrol pump does not follow this direction, they will be punished under Section 188 Indian Penal Code," Singh said. The North Bengal Petrol Dealer Association (NBPDA) has said that the rule will reduce the number of accidents. The Siliguri Metropolitan Police has also announced a ban on the parking of two-wheelers in paid parking slots for riders without the protective headgears. In a press conference on 10 July, Siliguri Police Commissioner CS Lepcha said that Banerjee has launched a state-wide safe driving campaign in Kolkata to reduce the number of road accidents, asking them to launch awareness drives and implement certain government decisions. "We are enforcing the 'No Helmet No Petrol' initiative in Siliguri. Under the initiative, none of the 36 oil pumps in the Siliguri metropolitan police area will sell fuel to any biker not wearing a helmet," she added. She also said that there will be surprise checks on petrol pumps to see if they are selling fuel to bikers without helmets. "If any pump is found to be flouting the order, we will take legal steps against the pump owners and others concerned," she added.